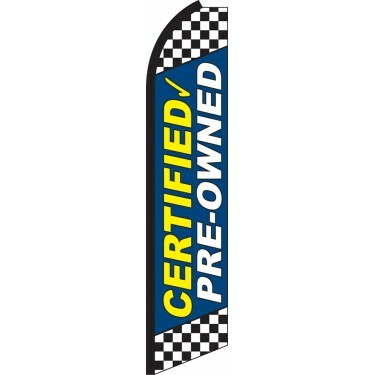 Our Certified Pre-Owned Blue Swooper Feather Flag features "Certified Pre-Owned" emblazoned in white and yellow text, upon a dark blue background. There is a black and white checkered pattern at the top and bottom, along with a yellow check mark just above the text. This flag is ideal for any car dealership that wishes to advertise its certified pre-owned vehicles to potential customers. The flag can be displayed in an array of different locations including directly in front of the showroom, along the roadside, at trade shows, and much more. 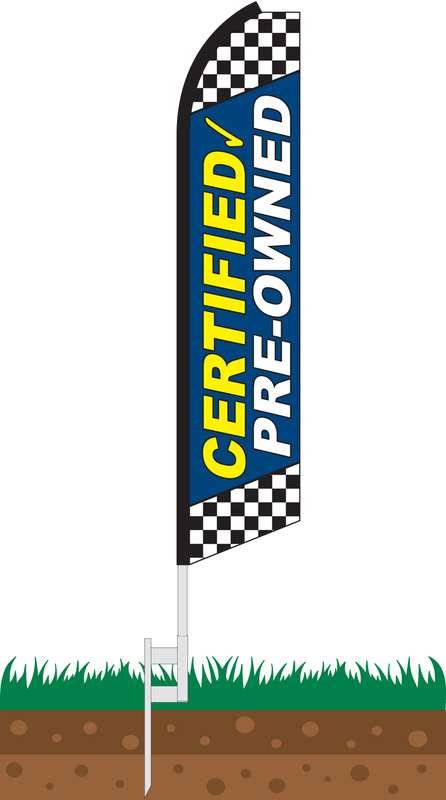 If you are looking to promote certified pre-owned vehicles to your customers, then this is the perfect flag for you.